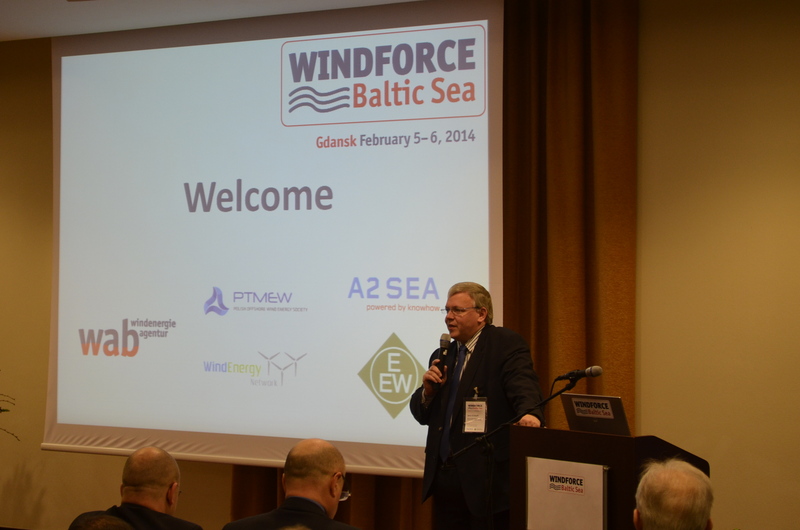 Over 120 participants from nine European countries attended second WINDFORCE Baltic Sea conference in Gdansk. 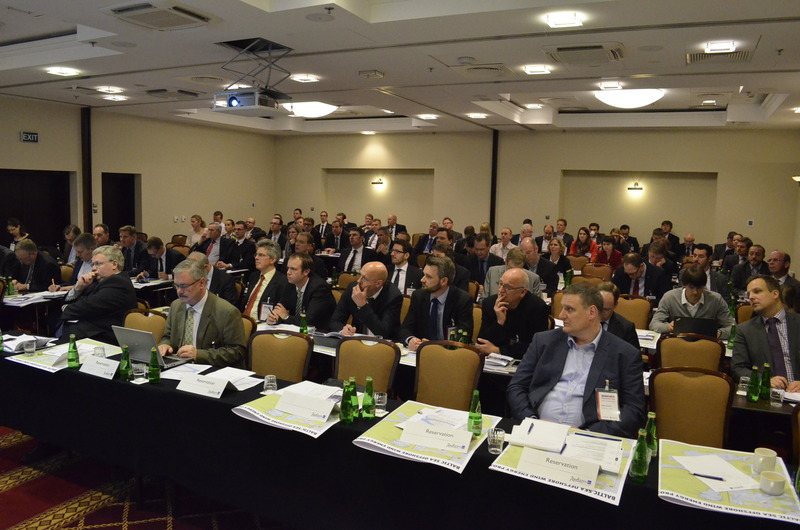 In eight sessions attendees gained thorough insides in the current challenges and opportunities in the Baltic Sea. 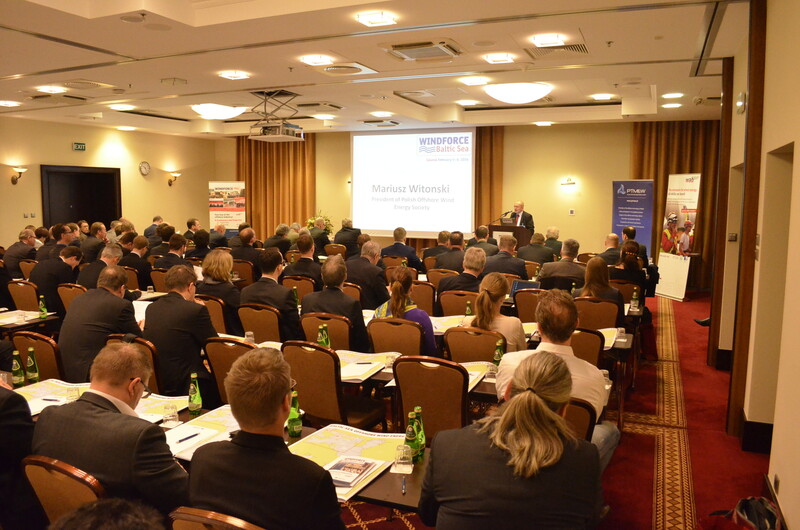 The conference was opened by Martin Günthner, Minister of Economic Affairs, Labour and Ports of Bremen. 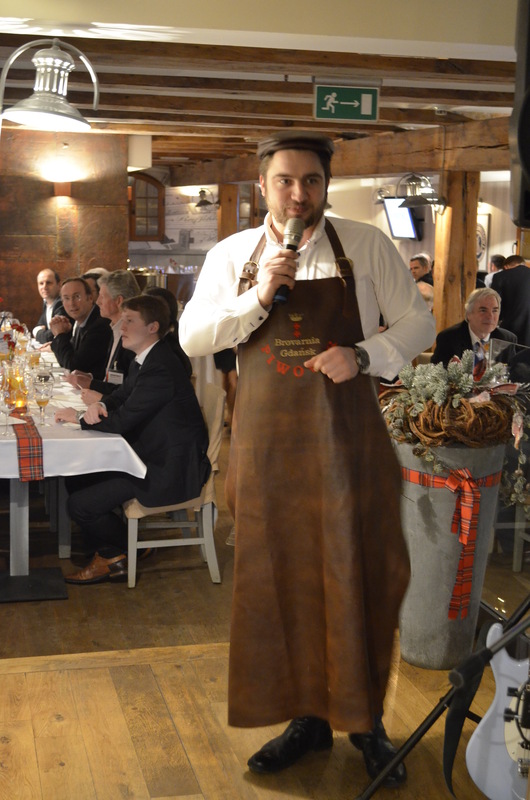 Bremen and Gdansk are sister cities, so the Minister used the opportunity to visit Gdansk and to welcome the conference participants personally. 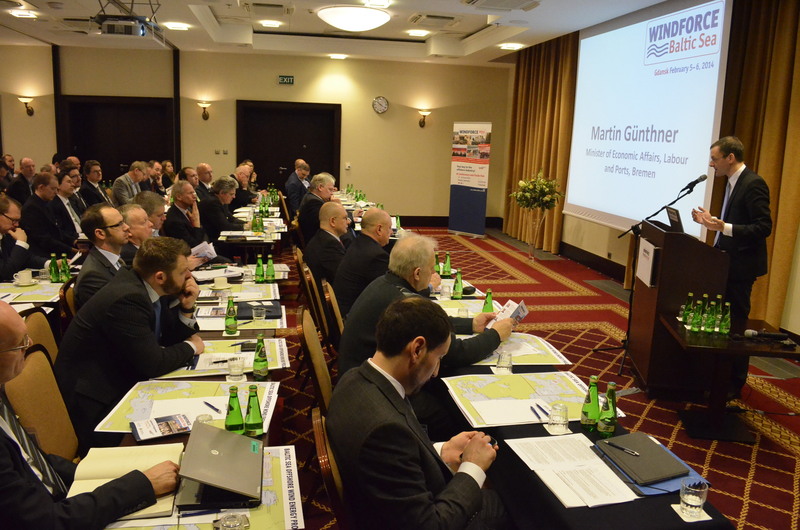 The second welcoming speech was held by Mariusz Witonski, President of the Polish Offshore Wind Energy Society PTMEW, the cooperation partner for the WINDFORCE Baltic Sea conference in Gdansk. 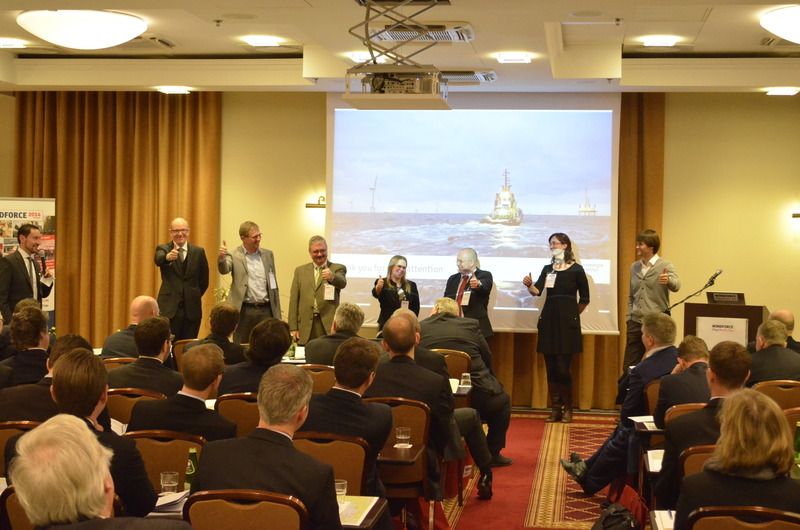 Seven representatives of major wind energy associations from Germany/ Wind Energy Agency WAB – Ronny Meyer, Sweden/ wpd Offshore – Göran Dalen, Denmark/ Offshoreenergy.dk – Morten Basse, Estonia/ Estonian Wind Power Association – Tuuliki Kasonen, Poland/ Polish Offshore Wind Energy Society PTMEW– Mariusz Witonski, Finland/ Finnish Wind Power Association – Anni Mikkonen and Lithuania/ Nelja Energia – Tadas Navickas, reported on the status of offshore wind energy in their countries. 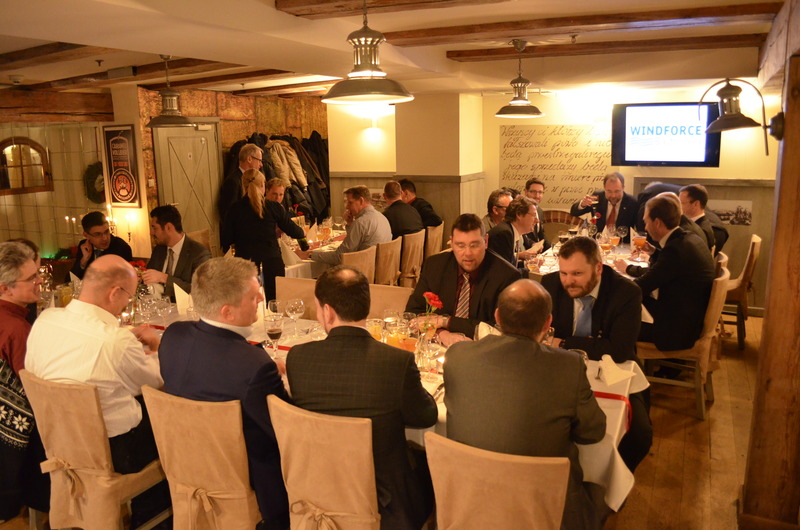 In a lovely polish traditional restaurant at Gdansk Hotel the conference participants enjoyed the evening of the first conference day. Before the dinner was served the participants got a short brewery introduction. The Brovarnia is the only brewery in Gdansk and known for their tree kinds of self-brewed beer. Documentation DVD with all presentations and photos is now available.